These won’t be reviews in the traditional sense of the word. I won’t be giving scripts star ratings or grades or anything of the sort. For one, I’m clearly not qualified to be doing that. Secondly, that isn’t what I think is educational about reading screenplays. I’m reading screenplays because I want to write screenplays. I want to see how others do it, how they build characters, how the action unfolds, how the formatting works (or doesn’t). That’s my goal. So, in these “reviews” I will be coming at it from the perspective of a beginning screenwriter. The stories and characters are still important, but I will mostly be focusing on the flow and the structure. Spoilers will be marked as such. Shane Black sold his first script when he was just 22. 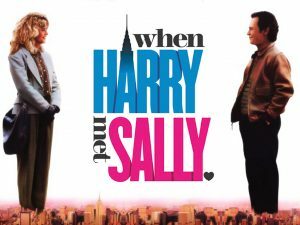 It was a small arthouse film called Lethal Weapon. It starred some Australian guy. You probably haven’t seen it. Anyway, he went on to write (and sell) quite a few other action scripts over the next decade. He quickly earned a reputation for writing action mixed with witty dialogue that played with the genre’s conventions. 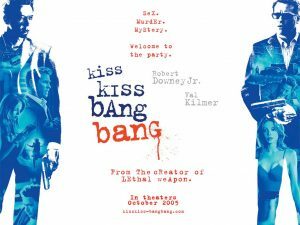 Kiss Kiss, Bang Bang was his directorial debut after a long hiatus in screenwriting. Ok, here we go.